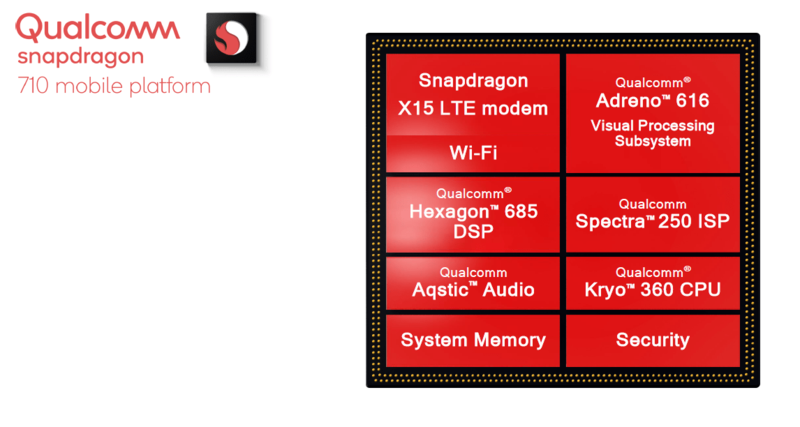 Qualcomm announced the Snapdragon 710 chipset in May and right now, it is undoubtedly the most powerful mid-range processor. Don’t get confused with this new 7xx series as it is a successor to the Snapdragon 660 of last year. In fact, some sources even claim that Qualcomm Snapdragon 710 is a rebranded 670. Anyways, there is a lot to talk about this new processor like the 10nm manufacturing processor, Kryo 360 cores, Snapdragon X15 LTE modem etc. If you haven’t read our article on this processor, make sure to check it out to get an idea of the specifications. After the announcement of 710, one question that everyone had in mind was – ‘How powerful is it as compared to the Snapdragon 660?’. Usually, we see the successors being much better in every aspect than the predecessors, but since Qualcomm went for the same design & similar specifications as the 8xx series, it is important to know the new changes in the Snapdragon 710 that make it a better mid-range processor than the Snapdragon 660. CHECK OUT: Snapdragon 636 vs MediaTek Helio P60 Comparison – Which one is better? See, the first thing that makes the 710 a much better chipset than the 660 is the manufacturing process. It is built on the same 10nm manufacturing process as the Snapdragon 835 and 845 (845 is built on the 2nd Gen 10nm process). On the other hand, the Snapdragon 660 is a 14nm chipset. So, smaller the size, more is the performance. Considering this aspect, the Snapdragon 710 is certainly better than the 660 regarding the performance. But how much better is it? The company says that due to the Adreno 616 Visual Processing Subsystem architecture’s enhancements, the Snapdragon 710 uses up to 40% less power when playing games and 4K video playback and 20% less power when streaming video than the Snapdragon 660, which is a huge improvement regarding power consumption. This means that even with an average 3,000mAh battery, a phone with Snapdragon 710 and an optimized OS can last a full day with ease. 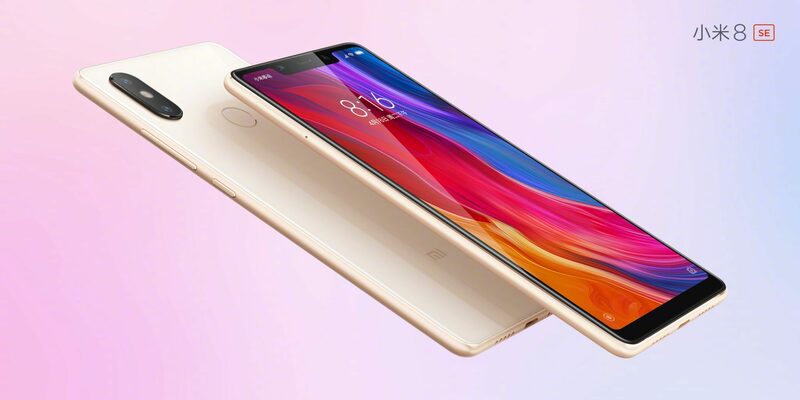 The Xiaomi Mi 8 SE is a good example of this, which is the first smartphone in the world to launch with the Snapdragon 710. Talking about the performance, the Snapdragon 710 has the powerful Kryo 360 cores, which places the 710 between the Snapdragon 835 (Kryo 280) and Snapdragon 845 (Kryo 385) regarding the performance. Also, the company claims that there is a 20% increase in the overall performance as compared to the Snapdragon 660. The app launch times are 15% faster. The Snapdragon 710 packs in the X15 LTE modem that is also better regarding the speed as compared to the X12 LTE Modem inside the Snapdragon 660. Talking about specs, the Peak Download speed is 800 Mbps, compared to the 600 Mbps of the X12 Modem. The peak upload speed, however, remains the same, i.e., 150 Mbps (It is same for the latest X20 Modem too). Qualcomm has also added a multi-core AI Engine inside the Snapdragon 710 chipset, that results in a 2X increase in the overall performance of AI applications as compared to the Snapdragon 660. Some other things that make the Snapdragon 710 a superior chipset than the 660 include support for up to QHD+ resolution, Qualcomm Quick Charge 4+, up to 20MP dual cameras and 32MP single camera support. So overall, the Snapdragon 710 is a competent mid-range processor and undoubtedly the best at the moment in the mid-range category. Xiaomi is the first to launch a phone with this processor, and there are reports that Nokia is also preparing for the same. In fact, it is also speculated that Google will launch a mid-range Pixel device in the first half of 2019 with the Snapdragon 710. It looks like we will see a lot of Snapdragon 710-powered devices next year. It is awe-inspiring to see how far these mid-range chipsets have come regarding the performance. There is now a minimal performance gap in the 7xx and the 8xx series of chipsets from Qualcomm. What are your views on the Snapdragon 710? Do let us know via the comments section. MediaTek Helio P70 vs Kirin 710 Comparison – Which one is better?